We often read or hear stories about people who were not born rich but managed to become financially successful all on their own and we wonder aloud how they did it. How do people become wealthy? What steps did they take to get to where they are today? Is it also possible for me to become financially successful? If yes, how can I become wealthy? How we wish we could all be wealthy. We all wish that someday we might turn our lives around and eventually become millionaires. However, becoming wealthy may seem like an elusive concept that is unattainable for most of us. Becoming wealthy seems like a big impossibility which feels more like a dream rather than a realistic goal, especially with the mounting costs of day-to-day life. 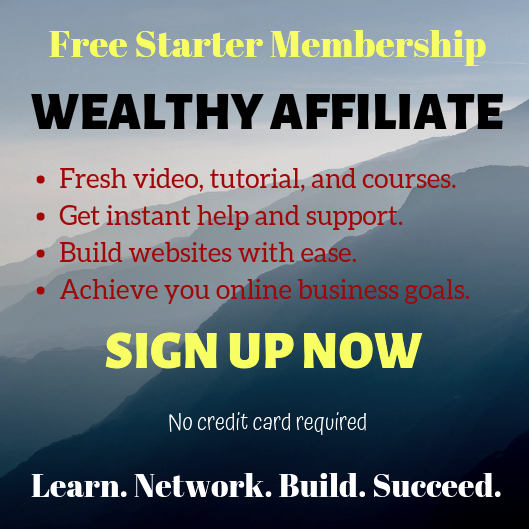 But what if I told you that there are simple steps you can follow to start building wealth today no matter your financial circumstances? You don’t need large inheritance or make a six-figure income in order to build wealth and secure a better financial future for you and your family; you don’t even need to win the lottery. 1) Have a steady source of income. Having a steady cash flow or income is the key to becoming wealthy. Before you even begin thinking about saving and investing, you need to have a steady source of income. Because if you have no income, you have no money to save or invest. Basically, there are two types of income: earned or active income and passive income. But Robert Kiyosaki, author of “Rich Dad Poor Dad” says that besides the two, there’s also what he calls portfolio income. But in this article I will be dealing only with active and passive incomes. a. Active income – comes from what you “do for a living.” In other words, this is what you get from your full-time time job where you work 9-5. You exchange your time and effort for a salary or wage. We were taught at a young age that we should go to school, study hard to get good grades, so that we can get a high paying job. 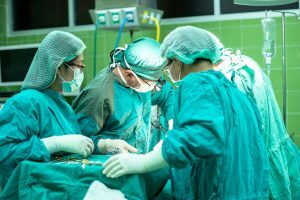 So we strive hard to become doctors and lawyers because these professionals make a great salary. As great as this may sound, these professionals have to put in their time and expertise in exchange for their salary. b. Passive income – this is the opposite of active income. It comes from some properties you own that you lease to tenants and you usually get paid on a monthly basis. 2) Get out of debt and stay there. Debt is a serious threat to your financial security as it keeps you from making the most of your money. Every penny you spend on debt payments could be stashed away for emergency fund, for your kids education or for your retirement fund. Being debt free will enable you to work hard towards becoming financially secure. The use of credit cards is one important component of your financial life but it can also be the end of your financial well-being. Be responsible in using credit cards if you want to succeed in your finances. Most people use credit cards to purchase unnecessary items thereby putting themselves in severe debt. You must always remember that when you use credit cards you are borrowing money that you have to pay back. 3) Establish a budget and good saving habits. A budget is simply an estimate of income and expenditures for a given period of time, usually monthly. 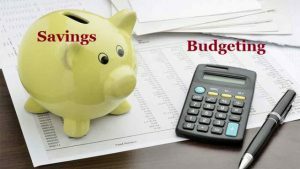 While many people are turned off by the term “budget” as they seem to associate it with restrictions, budgeting is one of the biggest keys to managing your money. When you establish a budget you will be able to monitor how much money you’re spending on certain items and services so you will have control over what you spend. Setting a budget will force you to keep track of your progress in reaching your financial goals and to make your dream of becoming wealthy a reality. Having a budget ensures you don’t spend money you don’t have. Having a budget is also a great way to save money because when you budget you assign your money to do certain things, which in turn allows you to automatically put money into your savings account each month. When you have a monthly budget, you will not be forced to dig into your savings and you can begin to build wealth to give you true financial freedom in the future. 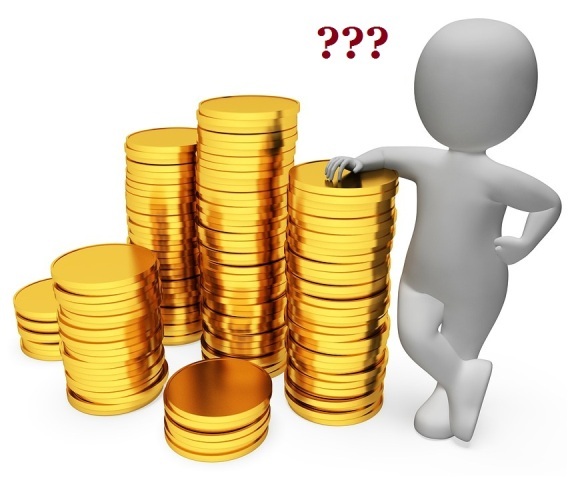 Most people suggest an ideal percentage allocation for your income to be: 70-20-10. 70% of your monthly income goes to your monthly expenses including bills, food, etc., 20% goes to your savings and investment and the remaining 10% goes to God and His works. After all, God is the source and giver of all things including wealth (Romans 11:34-36). 4) Live and spend within your means. Your “means” is your income and living within your means is to spend less on your lifestyle than you generate in your earnings. You’ve got to recognize that not everyone earns the same income which means not everyone can afford to spend the same. One who makes $10,000 a month can afford to spend more and buy expensive things compared to the one who only makes $3,000. You should know your “means” so you know how much money you can spend. And never, ever buy things your can’t afford! There is nothing wrong with spending the money that you have, but spending money you don’t have is disastrous. When you spend money you don’t have, you will eventually be buried in debt making your goal of becoming wealthy nothing but a dream. 5) Buy only assets, not liabilities. Knowing the difference between assets and liabilities is one of the keys to winning the game of accumulating wealth. Robert Kiyosaki in his book Rich Dad Poor Dad gives a particular definition for each one of these. He defines an asset as anything that puts money into your pocket while a liability is anything that takes money out of your pocket. According to Kiyosaki, the biggest mistake that the poor and middle class people make is spending their lives buying liabilities instead of assets. He said that if you’re serious about becoming wealthy you need to spend your life buying assets. You should only buy things that make you money, not things that make you owe money. Most people think that a house and a car are assets but they’re not! Your house and your car don’t give you money. On the contrary, you have to pay for your house mortgage and car loan. So they are liabilities, not assets. A good example of an asset is income generating properties such as an apartment or condo units. If you have a house or a condo unit that you’re not using, you can rent it out so they can put money into your pocket. These properties can bring continuous cash flow thus making wealth building possible for you. When it comes to impulse buying, most people are pretty bad at practicing self-control. When they see something they want, they want to have it immediately. That’s the problem we have today. We live in a society where people want things and want them now. Some people even resort to borrowing money just so they’ll be the first to own the latest iPhone model among their colleagues. Delayed gratification means the ability to put off acquiring something mildly fun or pleasurable for now in order to have something more fun, pleasurable or rewarding later. Being able to delay spending gratification is a skill you must acquire on your road to becoming wealthy. If you are not able to acquire this skill then you will never be able to acquire true wealth. It may take you sometime to adjust and form smarter spending behaviors especially if you are used to buying what you want when you want it but it’s extremely important to exercise smart spending habits so as not to compromise your financial security just to get something immediately. Delaying gratification is perhaps one of the biggest factors for creating wealth. Many studies show that those who tend to be more frugal and live less opulent lifestyles than their peers even though they can afford it are able to accumulate wealth. Therefore, be mindful about your spending habits and delay gratification until such time that you have the means to cover the cost. 7) Invest some of your money. Saving is not the same as investing. Saving is simply putting your money in the bank as savings, checking or money-market accounts for safe-keeping. Investing is the act of putting your money or capital to an endeavor expecting to obtain an additional income or profit. It’s not keeping your cash in a savings account to earn very little interest but putting it into a well-diversified portfolio of stocks, bonds, mutual funds and ETFs and allowing the growth to compound over the long term. Compounding is when the earnings from your investments create additional earnings, that is, the interest you earn on your money also earns interest, thereby making your money grow exponentially. And that is why compounding is arguably the most effective way to build wealth. But wait, there’s actually a better option. You can start your own business with zero capital; a business that you can manage wherever you are for as long as you have a laptop and a good internet connection. No kidding! Join me in my number 1 recommended program that will teach you everything you need to know in order to succeed. Aspiring to become wealthy is not wrong. Many people, including pastors, tell us that wanting to become rich or wealthy is wrong for a true Christian. They say that a true Christian should strive to have just enough to get by and should give the rest of their riches to the poor. But throughout the centuries, God has blessed some people materially like King Solomon (2 Chronicles 1:11-12) and Jehoshaphat (2 Chronicles 17:5). Bottom line is that it’s perfectly alright to become wealthy. The Lord is not against wealth for He has blessed some with it. But He is definitely against the unethical acquisition and wrong use of it. And when you become wealthy, learn a lesson from King Solomon’s verdict on the abundance of wealth (Ecclesiastes 2:11). Do not let wealth get in the way of your devotion to God. Rather, serve God with your wealth and help the needy. Hi, this is a good article but I would have to disagree with some of your points. If you’ve learnt well from Robert Kiyosaki and read his books, listen to his Podcasts properly, then you’ll understand what I’m going to say. I learn these all from him. Firstly, the rich don’t get out of debt. They get into debt and leverage debt to create more wealth. I know this is hard to understand for many. But there’s good debt and bad debt. Bad debt will just keep taking money out of your pocket while a good debt will make you richer. For example, Robert borrows money (debt) to acquire assets and create positive cashflow for him which eventually make him richer. Secondly, you shouldn’t save money because the more you save the more you lose. Market inflation and devaluing of your money is faster than you think. Instead, you should keep acquiring assets and cashflow. They are the things that will make you rich, not saving money. Thirdly, the concept is not just about buying assets and never buy liabilities. You can buy liabilities but you should buy them using cashflows from your assets and not buying them using your own saved money. Hey Jerry, thanks for your insightful comment. I have read Robert Kiyosaki’s Rich Dad Poor Dad and also several of his other books such as Cashflow Quadrant, Retire Young Retire Rich, Rich Dad’s Guide to Investing as well as the book he co-authored with Donald Trump and trust me, I understood very well what he’s trying to say. And if you think there are a lot of his concepts that were misrepresented in this post, that is simply because I originally intended this article to be as short and simplified as it could be. Having said that, I could not possibly explain all of Kiyosaki’s points in such a short article so what I did was gleaned the more important ones. It was never my intention to misrepresent him. You have to understand that not everyone can apply what Kiyosaki did, that is, get into debt and leverage debt to create more wealth. Since the target readers of my post are new investors, I want to be really cautious by not telling them to borrow money in order to create wealth. I’m not sure if you are aware but there are actually successful businessmen today who started their business with no capital at all, just their skills and wit, zero debts, no loans at all! As to the matter of saving, when I said “save money,” I’m talking about building an emergency fund, we all need that, don’t you think? I’m sorry if it did not appear to you that way. Here’s the thing, If you invest all your money and your investment fails and you suddenly lose your job, where would you end up? I truly appreciate your input Jerry and thank you for taking the time to get it heard. I like the fact that at the end you reminded me that God is not against me being wealthy. Thank you for the great tips, simple and practical. It will take some work especially to get out of debt, and not knowing where to start makes it even harder. God is the ultimate source of blessings, spiritual and financial. God is a rich God; He owns everything including our lives (Psalm 24:1; 1 Corinthians 10:26) and I believe He wants to bless us financially. Getting out of debt is a serious matter and many people struggle hard to become debt-free. Yes, often times we do not know where to start and that is why we should have a plan, execute it and stick to it. It will take a lot of discipline and it’s going to be a huge adjustment in our spending and lifestyle but it will all be worth it in the end. Consulting a financial adviser might help if we have tried many times and failed. Great tips that you have provided here! I have definitely applied many of those myself throughout the years. Also, I have noticed that I am not so interested to buy so much stuff… I like a minimal lifestyle. Quality over quantity. Nice share! In reality, the road to becoming wealthy is not that narrow as many people might think. Anyone can become wealthy by simply applying these 7 steps. It may take a little bit of hard work and of course discipline but it will all be worth it in the end. You give some very nice and useful tips that one needs to follow in order to achieve a financial freedom. I totally relate to the things you mention. 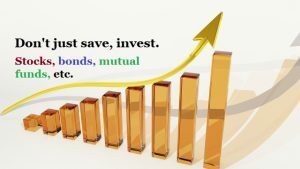 It is very important to be able to invest wisely while at the same time save money. Hi Asen, thanks for your comment. I really believe that we all have the potential to better our status in life and achieve financial freedom. It may take a lot of life-changing habits but it will all be worth it in the end. The common problem I see among the poor and average people is that they have a vague understanding of how they can actually start accumulating wealth regardless of their present financial status. They think that they have to be rich first in order to start saving and investing. While you need to have a steady cash flow in order to have something to invest, you don’t have to have much. You can start with small amounts and increase it later on as your cash flow increases. Investing is one topic that I would really like to focus on in my succeeding articles as I hope to spread financial literacy to those who do not know how and where to start. You site is great. I really like how you described how health is wealth and how they are related to each other. i liked how you showed when you don’t have good health, then it affects your wealth, ability to earn income, and it is so true. I believe in preventative health too and being proactive with our health. Kudos to you. Great site and great information provided. thanks! Hey Desiree, appreciate your thoughts so very much and I’m glad you find my site to be informative. I’m not really dreaming of becoming a millionaire but I believe that there are many things we can learn from the rich that we can apply in order to better our lives financially without forgetting that the greatest wealth we could ever have remains to be our health and most of all, our relationship with God and with our family and friends. It is great that you discuss about wealth correlation with the bible verses. God want us to be wealthy people. No wrong to being a wealthy person. Thanks for the enforcement in doing efforts to be a wealthty person. Hi Melani, thanks for your comment. I could really resonate with this article. I used to have a nice car and a big mortgage…..but then I went travelling for 6 months and my perspective changed entirely. On my return, it seemed ridiculous that I was paying £250 per month for a car and a whole lot more for a mortgage! I felt totally trapped. I now have a smaller, older car that I bought outright and am reluctant to buy another house! It’s so true that’s its all about making your money work for you – I’d rather wait a few years, invest that money and rent somewhere cheaply than saddle myself with a huge mortgage. Hey Louise. Because we’re not taught about money management. We don’t learn these things in school and from our parents. We only come to realize we’re doing everything wrong when we get to meet other people with different perspective on money and wealth. The good thing is that, we learn from our own mistakes and we can always change the way things are. I believe that we all have the potential to become wealthy. We take the necessary steps to make our goal of becoming wealthy a reality. It maybe difficult at first especially if we will have to make major changes with regards to our spending and lifestyle. We just need to set a goal and stick to it, let’s set our eyes on the prize. There’s a quote, “The rich remain rich because they live like they’re broke. 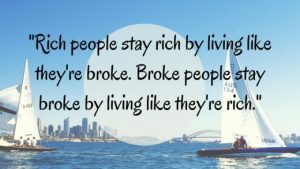 The broke remains broke because they live like they’re rich.” There’s a lot of truth to this and this the one of the biggest mistakes that most poor and average people make. If we want to improve our life, we should learn from the rich.